That's right! Electric wok! It has amazing temperature control, by the way. 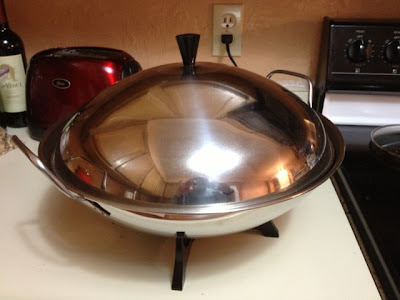 I sort of inherited it from my parents who never used it. When choosing veggies for my stir-fry, I basically wandered around the produce area and picked up things that seemed like they'd be good. I ended up with: carrots, zucchini (my favorite! 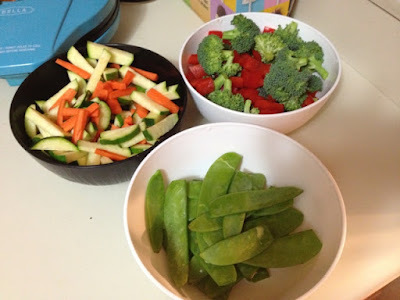 ), snow peas, red bell pepper, and broccoli. 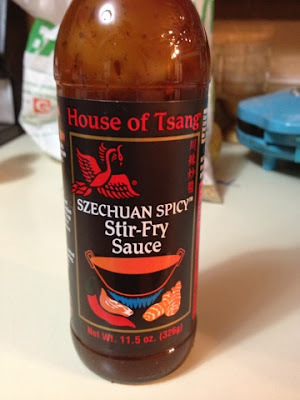 Finding stir-fry sauces is difficult for vegetarians because most of them have oyster in them. Oyster juice? Anyway, not vegetarian friendly. I ended up going with this because it was the only vegetarian one I found. I started the rice because it takes about an hour to cook. I chopped up my veggies, as seen above. 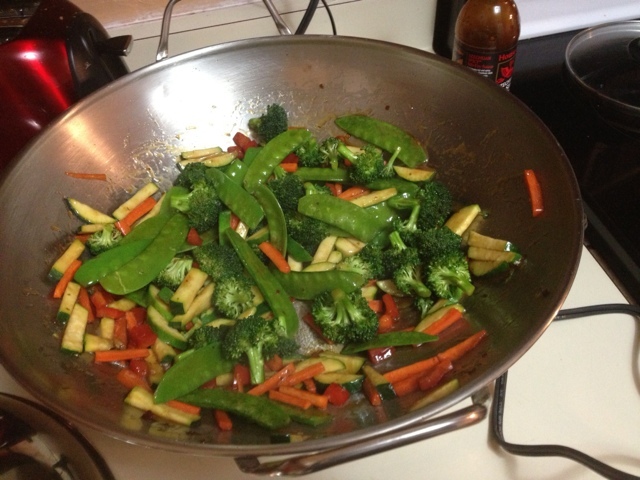 To the wok I added olive oil (I almost always use olive oil and that works for me. What do other people use?) and the sauce. I turned the wok on to about 350. It heated much quicker than expected. Stir-fry is nice and easy, especially without meat (maybe I will try tofu next time). You just add everything in. Try to give the veggies that take longer to cook more time in the wok, ie: broccoli and carrots (depending on how they are cut). Keep stirring the veggies so nothing burns. I probably left it in there for about 10 minutes? 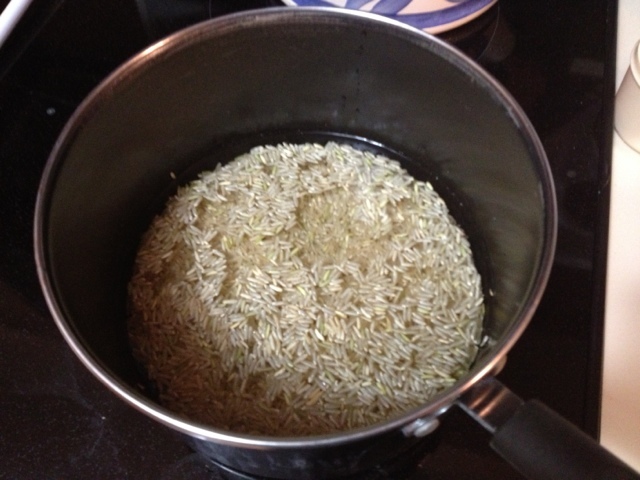 And then left the temperature on warm until the rice finished. 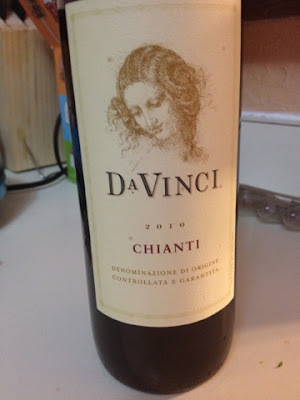 I got this wine as a gift from my friend, Lydia, so we popped that open to have with dinner. I must say, I don't usually like dryish red wines, but this one was quite tasty! And voila! Our meal is complete! 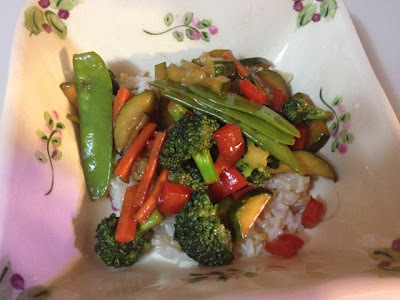 We just put the stir-fry over rice and enjoyed! And it was delicious! For anyone who is interested, I wanted to share a couple of food-related blogs run by a couple close friends of mine. Tubby Jubby's Food Blog: http://tubbyjubby.blogspot.com/. She is just starting out, but it looks great so far! Easy Entertaining Food: http://easyentertainingfood.tumblr.com/. She finds good stuff!